If you love El Dorado County for its rural quality of life, then it’s time to speak up to protect it. We need to be there to speak up against the proposed policies that will greatly impact our rural resources, making it easier for developers to push through their high-density projects that are better suited for Rancho Cordova and Elk Grove. Be prepared! Staff’s agenda to overhaul our voter-approved General Plan has saddled us with an overwhelming and confusing document. Much of this is to frustrate the public to not participate. If you want to retain the rural nature of El Dorado County, then you must engage! 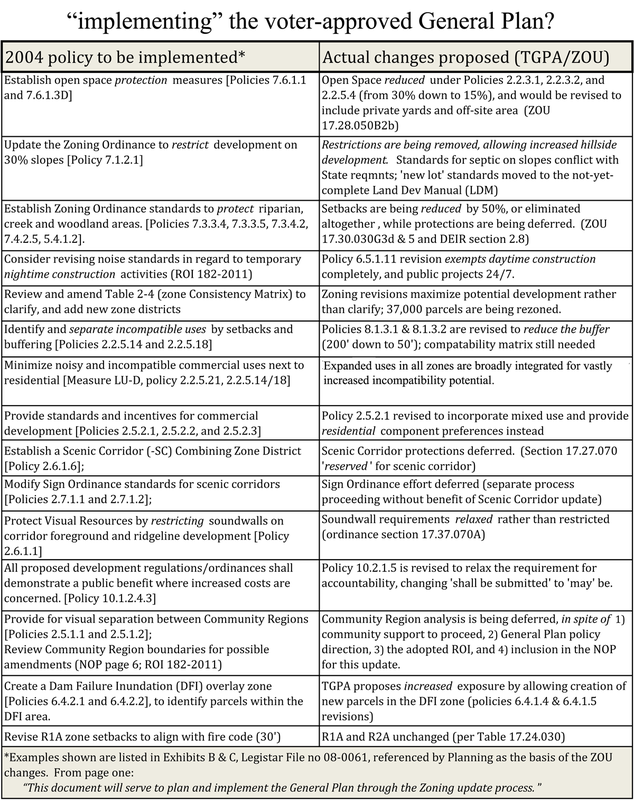 For three years, Supervisors, County staff, and special interest groups with significant involvement in the policy re-write, have repeated the mantra “we’re just implementing the General Plan”. ● The changes proposed do not represent an “implementation” of the voter approved General Plan. ● The extent of the proposed changes has been misrepresented to the public. ● 2004 General Plan protections are being reduced or removed. 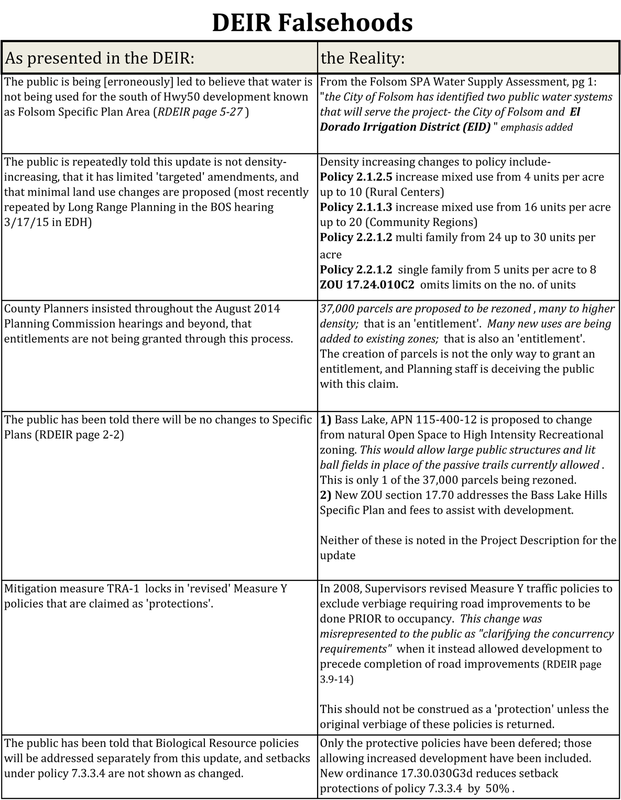 Previous Previous post: Placerville courthouse project — boon or boondoggle?